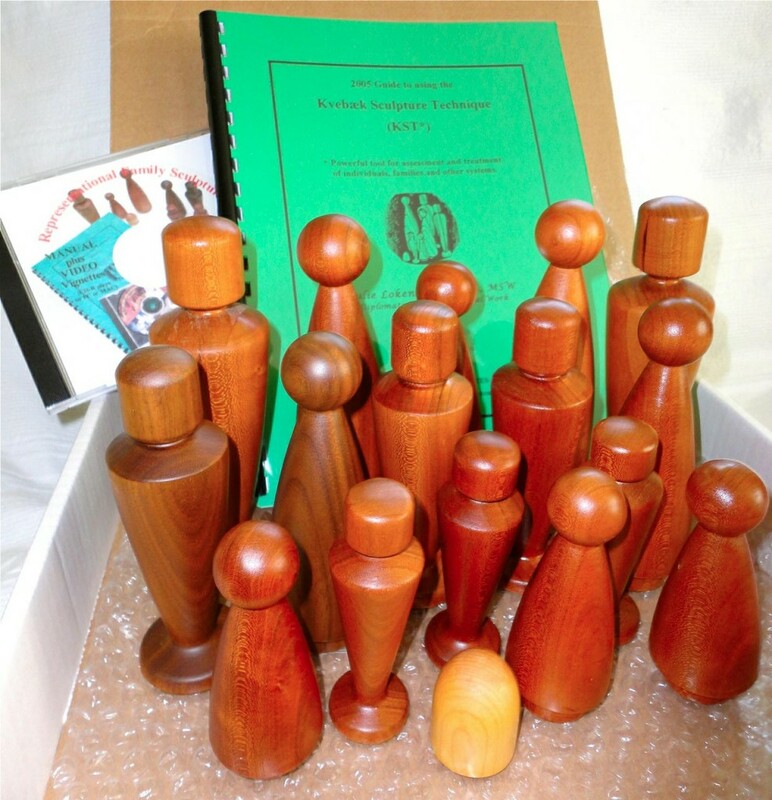 Boxed set of seventeen figures: 2 large rounded figures, 2 large angular figures, 3 medium rounded figures, 3 medium angular figures, 6 small figures (3 rounded, 3 angular), and 1 pet figure; with KST manual of your choice. You choose dominant hardwood; two of the medium figures will be provided in contrasting wood tone. Pet is maple in all sets.